Kelly Craft begins her job as U.S. ambassador to Canada today at a time of delicate diplomatic talks on the North American Free Trade Agreement. The new U.S. ambassador to Canada says that when it comes to climate change she believes in "both sides of the science." Kelly Craft, who took up her position Monday, told the CBC's Rosemary Barton she appreciated all of the scientific evidence on climate change. "I think that both sides have their own results, from their studies, and I appreciate and I respect both sides of the science," Craft told Barton. She also said that while U.S. President Donald Trump's approach to climate change is different from the government of Canada's, both the U.S. and Canada have the same goal: to "better our environment and to maintain the environment." Trump said earlier this year he would pull the United States out of the accord that was signed by former president Barack Obama. Craft's husband, billionaire coal-mining magnate Joe Craft, has criticized Obama's climate change policies. The former Republican fundraiser was sworn in by Kentucky governor and longtime friend Matt Bevin in August, and formally assumed her post after presenting her credentials to Gov. Gen. Julie Payette at Rideau Hall in Ottawa this morning. Craft, the first female U.S. ambassador in Ottawa, said she is honoured to take on the role. "Surely there is no better posting than Canada," she said. 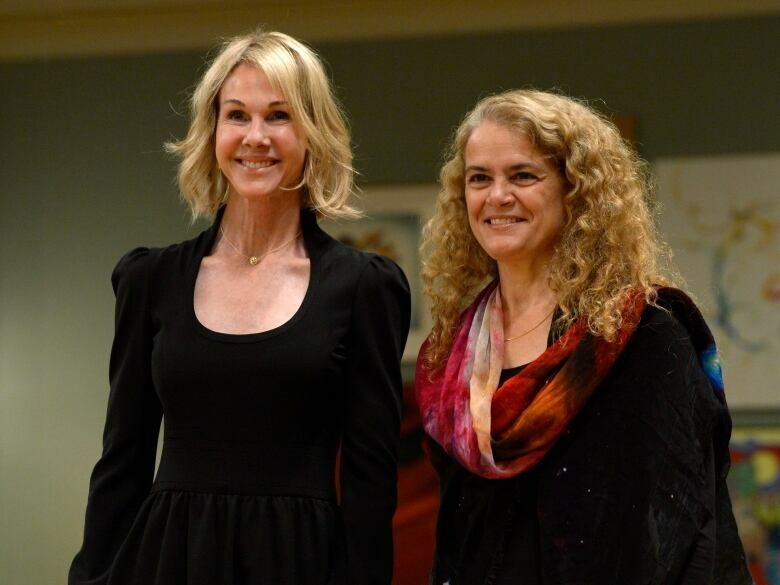 Craft said she plans to visit Canadians across the country, meet with politicians and community leaders at all levels to gain a deeper understanding of the "dynamic, multicultural society." She also said she will work to promote strong economic relationship and collaboration on security at the border, while making cross-border trade and travel easier. Calling Canada a "friend, ally and neighbour," Craft said it will be a privilege to promote ties. "No two countries share a deeper or broader relationship than Canada and the United States," she said. "We are bound together by history, our values, our economy, our families, our environment and our resolve to improve the lives of our citizens." Craft also paid tribute to Gord Downie, the lead singer of the Tragically Hip who died last week after battling a rare form of brain cancer. She said Canada's "favourite son" used art, music and writings to bring people closer. "I believe this is important business that we should all be about," she said. Payette also praised the bilateral relationship, calling it "uniquely and profoundly important." "We have a long and rich history and exchange on trade, the border, energy, the environment, culture and defence," she said. NAFTA talks finished a tense fourth round last week. 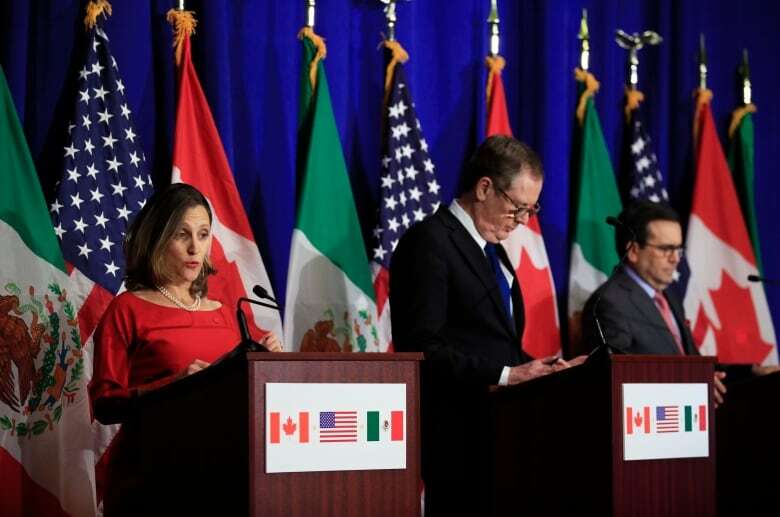 At a news conference on Oct. 17, Foreign Affairs Minister Chrystia Freeland accused the U.S. of deliberately trying to undermine the trade agreement, calling its list of unconventional proposals "troubling." U.S. Trade Representative Robert Lighthizer shot back that NAFTA had created a "huge" trade deficit and bled thousands of manufacturing jobs from the U.S., and accused Canada and Mexico of refusing to budge to rebalance the deal. "Frankly, I am surprised and disappointed by the resistance to change from our negotiating partners on both fronts," he said. Craft said it's important for NAFTA to be modernized and renegotiated toward a common goal held by Mexico, Canada and the U.S.
"Canada is very important. If you are not successful, then we are not successful as well as Mexico." The new ambassador also said that she understands the importance of the trading relationship between the U.S. and Canada. "Being from Kentucky, Canada is our No. 1 trade partner, so I have a real interest in making certain that this border that we see in Kentucky is very thin and becomes thinner." Freeland was scheduled to meet with Craft at Global Affairs Canada at 4 p.m. ET today. Craft and her husband threw their support behind Trump during the 2016 U.S. election campaign. Their backing was based partly on a promise from the Trump team to allow key Republican Party members to keep their positions, including Senate majority leader Mitch McConnell and House Speaker Paul Ryan. Adeyinka Olatokunbo Asekun, high commissioner-designate of the Federal Republic of Nigeria. Mohamed Imed Torjemane, ambassador-designate of the Republic of Tunisia. Martin Alberto Vizcarra Cornejo, ambassador-designate of the Republic of Peru. Felix Nicolas Mfula, high commissioner-designate of the Republic of Zambia.